until she met the only man she’d ever need. . . . Forced into the spotlight by her fabulous wealth, heiress Grace Hall isn’t always prepared for the consequences of her standing. When a string of attacks against the city’s most prominent women leaves Grace vulnerable, the refined beauty reluctantly hires a bodyguard. Now she finds herself subject to the ironclad will of her new protector. In spite of her frustration, Grace is drawn to John Smith in ways she can’t explain. For beneath his tough exterior and dark past, there’s an inner core that is tantalizingly seductive. John knows that when you’re a professional bodyguard, it needs to be all business. But such conduct makes for a solitary life with few ties and too many good-byes. Grace was supposed to be just another assignment on a long list. Yet there’s something about her that gets under his skin. With each passing day, the attraction grows more intense—until John is faced with a decision he never thought he’d have to make. Can he give up the only life he’s ever known to be with the only woman he’s ever loved? 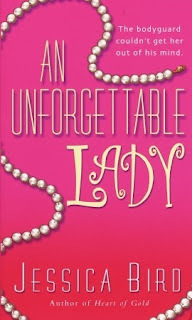 John Smith, a personal security specialist who runs his own firm believes in sticking with his own kind— women in the military or a part of the intelligence community — until of course, he meets Grace Hall, a rich woman who is already married but ultimately, this doesn’t deter him from kissing her at the ball where they first come across each other because unlike the other wealthy females he’s encountered, she’s kind, doesn’t act superior and isn’t afraid of telling large, gun carrying men what she thinks. The first night they meet is also the night one of Grace’s friends is viciously murdered. Next to the lifeless body, an article featuring the six most prominent women in the city (including Grace) is found. After being taken in for questioning, Grace knows that the police suspect they have a serial killer on the loose. When it is suggested that she hire John Smith as a bodyguard, Grace declines, however, when another woman who was featured in the article is murdered in a similar fashion to Grace’s friend, she accepts that she needs the protection only John can give her. What bothers me most about this book is that the serial killer was so easy to figure out. From the first comments he makes in the book, which are very early on, there is no anticipation or even uncertainty about his identity. 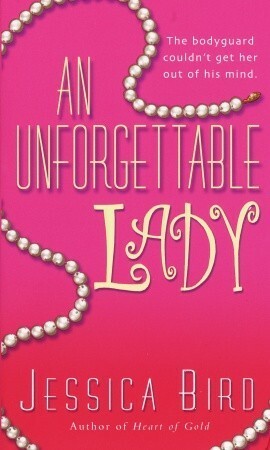 Although An Unforgettable Lady isn’t as good as some of the other books by Jessica Bird (J.R. Ward) it was still good. If you’re in the mood for an uncomplicated read, this is probably the book for you.